This entry was posted on 22 Ogos 2010 pada 9:02 pm	and is filed under Uncategorized. You can follow any responses to this entry through the RSS 2.0 feed. You can leave a response, atau trackback from your own site. SAYA SUKA WEB NI. KIRANYA IA AKAN DAPAT MEMBANTU MEREKA ESPECIALY ASAK2 MUDA YANG TAK PANDAI MEMBACA. DENGAN TAFSIRAN TU LA LAGI BAGUS. JIKA KITA NAK AJAR PADA MURID2 KE PUN SENANG, DOWNLOAD DAN PRINT JE. 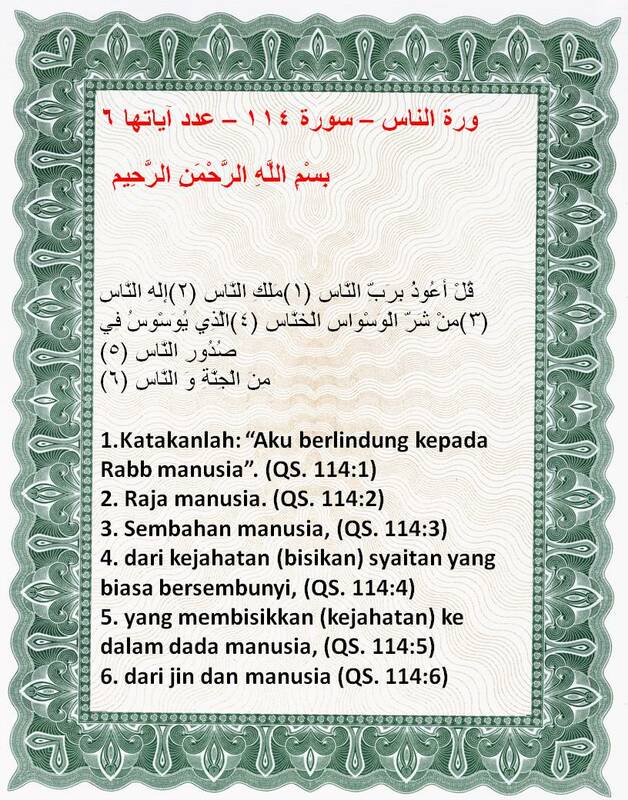 TAPI, TAK DA PULA HAL TU PADA SURAH AN NAS NI. MINTA IZIN LAH NAK GUNA ALQURAN NI, UNTUK NAK AJAR ANAK2. SAYA DAH BELI ALQURAN YANG BERMAKNA LAGI, DUA TIGA JENIS, TAPI BUNTU JUA, RASANYA JIKA SAYA BOOKMARK KAN WEB NI BIAR ANAK2 ACCESS MUNGKIN BOLEH MEMBANTU. BOLEH TAK ENABLE KAN UNTUK SAYA BAGI KESEMUA SURAH 6666 TU.